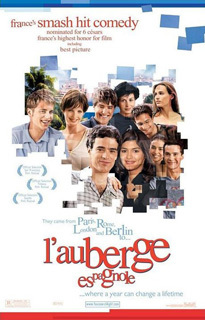 L'auberge espagnole (the spanish apartment, 2001) is a movie directed by Cédric Klapisch with Romain Duris playing Xavier, Cécile de France as Isabelle, Judith Godrèche as Anne-Sophie and Audrey Tautou as Martine. This comedy story tells about Xavier doing an erasmus to finish his studies in economy and to learn spanish at Barcelona where he shares a flat with 7 roommates of different countries. 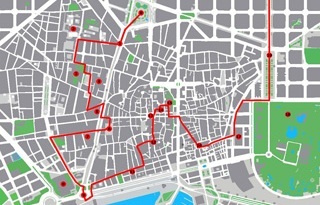 For this itinerary, instead to start as usual at catalunya square the first day, you will start at universitat square where is situated the university of Barcelona at the Eixample district. Many scenes have been filmed here but the funniest one is the one when the professor started his lesson in catalan and one of the foreigner students asked him to do it in spanish, in short, the professor answered that we are in Catalonia and he will never do it in spanish. At the opposite site of the university, there is a small street called tallers, take it and you will enter at the Ciutat Vella district. At the first square, turn right then turn left, walking straight, you will arrive to the MACBA (Museum Art Contemporary of Barcelona, plaza dels àngels 1) where Xavier and Anne-Sophie were talking about their differences. 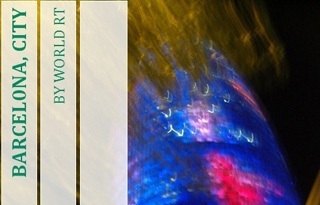 Now, let´s go to the most famous street of the city, las ramblas. Near to the museum, take the elisabets street and keep going on until you will cross la rambla, meanwhile enjoying your walk down the street, you can talk with your friends about the bilingualism like Xavier and Isabelle. When you will reach the liceu metro, just few meters after passing it on your left, there is the reial square. Xavier crossed it with all his luggage looking for the Miralpeix´s flat. del mar where Xavier got a vision about the eramus of Rotterdam. 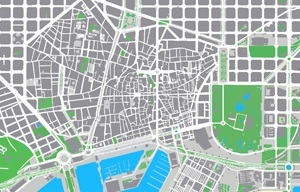 Once you have done with this area, walk on the passeig de colom street. At a moment, you will see on your left, a big avenue called via laietana, take it. In the movie, Xavier walked with all his stuff totally lost. Then take the 3rd street on your right which should be the joan massana street, behind the building, there is the Santa Maria del Mar church (plaza santa maria 1). The scene where Xavier got news about the arrival of Alistair is located very near, exactly at caputxes street, provoking a good disturbance. or exit the metro and walk about 7 minutes to reach the basilica. For that, once you are out, take the provença street located on your left and always straight. Xavier and Anne-Sophie climbed up the tower of the nativity façade of the Basilica and Expiatory Church of the Holy Family (plaza sagrada familia 4). For the 2nd day, let´s take a look to the harbor cable car (passeig de joan de borbo 22) at the Ciutat Vella district. Inside the cabin, Xavier felt something for Anne-Sophie but he didn’t know how to tackle the subject. Near to it, there is the beach of Barceloneta where Xavier wrote a letter to his girlfriend meanwhile sitting in one of the beach bars. Walking along the sea, you will be on the passeig maritim de la barceloneta street, at the number 25-29, you will spot the Mar Hospital. Xavier decided to consult a doctor because he couldn’t sleep and felt very depressed. 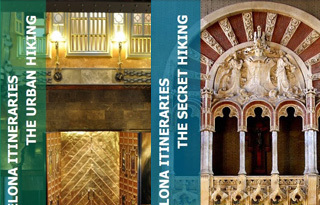 You will end this itinerary with the visit of another work of Gaudi, the Park Guell (c/ olot 7) at the Gracia district. For that, take the metro L4 ciutadella vila olimpica near to the hospital, direction trinitat nova, and make a change at the passeig de gracia station, direction trinitat nova L3 then get down at the vallcarca station. To reach the metro, walk until the end of the street towards the big golden fish then take the street on your left, which is the ramon trias fargas street, keep straight and and about 7 minutes, you will see it on your left. To get in the park, just follow the indication. At the snake square where there is the famous wavy bank, Xavier and Anne-Sophie sat there meanwhile conversing.